The basic organizational unit of the Order of Knight Masons is known as a Council. The officers of a Council of Knight Masons are Excellent Chief, Senior Knight, Junior Knight, Scribe, Treasurer, Senior Warden, Junior Warden, Director of Ceremonies, Priest, Steward, and Sentinel. The first five officers are elected and the rest are appointed by the Excellent Chief. The Excellent Chief governs and presides over the Council. 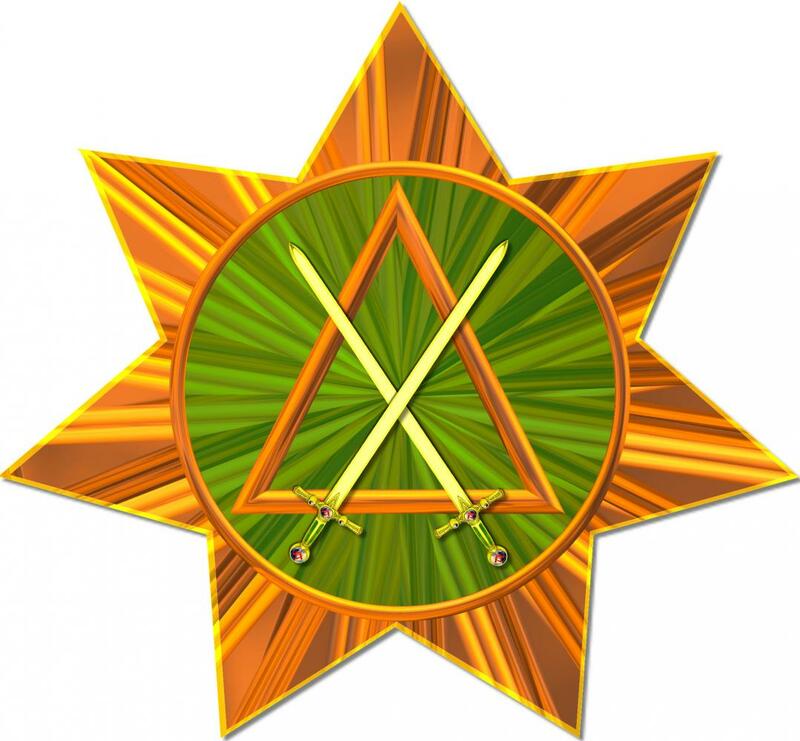 Like with other bodies within Freemasonry, the Chief is not a dictator, but first among equals elected to serve the Council and is bound by the By-Laws of the Council and Grand Council. This officer has the honorary title of "Excellent" which stems from the Latin word "excellentem" meaning "superior, excellent, or of first-class." The word "chief" has long been used to mark a leader such as a chief of a clan or tribe. In the United States, you see this word in titles such as "Commander-in-Chief," "Chief of Staff," or "Chief of Police." The word "chief" derives from the French word "chef" which comes from Latin "caput" meaning leader or head." Following the Excellent Chief was the Senior Knight and Junior Knight. The word "knight" comes from the Old English word "cniht" which was taken from Middle High German "kneht" meaning "boy, youth, servant, or vassal." Knight started referring to a military servant of a king or lord in the 11th century and after the Hundred Years War started becoming important as a rank of nobility. The Senior and Junior simply differentiate the ranking between the two. Corresponding to the Secretary of the Blue Lodge, the administrative officer of the Council is known as the Scribe. Historically, scribes have also been used as notaries, copyists, interpreters of law (lawyers or judges), accountants, ministers, and journalists. Much of ancient history was recorded by a scribe, by one name or another. In some instances, scribes were considered a part of the royal court, performing the previously described duties for monarchs. The etymological root of Scribe is the word Latin word "scriba", meaning writer, from past participle stem of "scribere" meaning to "to write" from proto-Indo-European word "skribh" meaning "to cut". The chief financial officer of the Council is known as the Treasurer. Just like in other Masonic and non-Masonic organizations, he is responsible for all financial transactions of the Council. The word "treasurer" comes from the French word "tresor" meaning "treasury" which itself means "funds or revenue". Unlike the Blue Lodge, the Senior Warden and Junior Warden are appointed officers and correspond closely to the Deacons rather than the Wardens of the Blue Lodge who provide assistance during the opening/closing of the Council as well as the initiation rituals. The word "Warden" comes from the Proto-Germanic word "wardon" meaning to "to watch or guard." The Director of Ceremonies has duties that correspond to the Marshall and Senior Deacon of the Blue Lodge. Like the Marshall, the Director of Ceremonies is in charge of processions and ensuring the regalia is in its proper place before the meeting commences. Being in charge of the regalia of the Council, the Director of Ceremonies is in possession of the Signet of Authority and gives it to the Excellent Chief so he may open and preside over the Council; the Signet of Authority is returned to the Director of Ceremonies at the closing of the Council; it is a curious thing that the emblem of authority of the Council is bestowed to an appointed officer. Like the Senior Deacon, the Director of Ceremonies conducts candidates through the green degrees of Freemasonry: Knight of the Sword, Knight of the East, and Knight of the East and West. The word "director" coming originally from Latin then through French to the English use meaning "to guide" or "keep straight." "Ceremonies" comes from Latin "caerimonia" meaning "reverent or sacred rites." Today the word is used to represent "the ritual observances and procedures performed at grand and formal occasions." Coinciding to the Chaplain of the Blue Lodge, the Priest presides over the prayers used in the various rituals of the Council. The word "priest" is rooted in the Latin word "prester" meaning "priest or elder." The Steward of the Council serves as the inner guard of the Council and works with the Sentinel to ensure the security and safety of the Council. The word "Steward" is rooted in the Old English words "stiward" and "stigweard" meaning "house guardian" and "housekeeper" which are rooted in Proto-Germanic words meaning "guards." The last appointed officer of the Council is known as the Sentinel and whose duties correspond with that of the Tyler in the Blue Lodge. The Sentinel guards the Council to ensure the knights are not caught or taken by surprise by those wishing to cause harm or those who are not entitled to be there. The word Sentinel stems from the Latin word "sentire" meaning "to watch or perceive by the senses."